You will have a clear understanding of what you want and need in each of these 4 key areas. You will gain strategies on how to live life on your own terms. You will learn the importance of Setting boundaries – how and when? You will receive tools for helping you to be in the right space for designing a better Life. You will hear examples of personal success, using these principles. 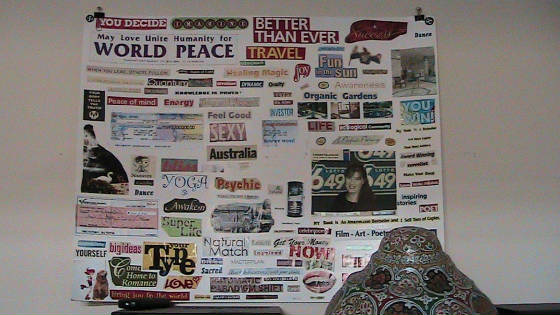 You will have a physical vision board to help keep your mind focused on your desires. Really, if nothing was in the way of getting what you wanted, what would you have? Making the Law of Attraction work for you! In this playshop you will learn how much you respect yourself, and why it’s important to hold your self in high esteem. You will learn why, what you feel about yourself is important in getting what you want. Learn how to find out what would make you truly happy & how to get it! Find out how your brain works. Utilize tools that help your brain stay focused and consistent with the Law of Attraction. A fun and interactive way to get your brain to say, “yes you can!” 1 hour outline and examples, 1 hour practice with discussion. Course cost $10.00 suggested donation per person, materials included. 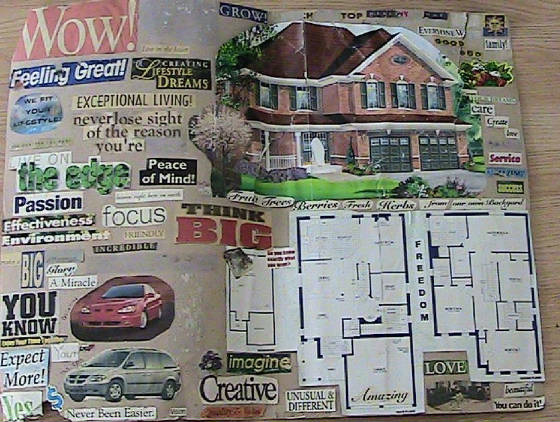 Vision board workshops are a powerful way to solidify your goals, desires and intentions. The mind thinks in pictures, so when the unconscious mind is focusing on the words and pictures of the life you are creating it starts put focus and energy there, drawing the circumstances and things you want into your life. I have manifested many things and circumstances in my life by using the Vision board method of manifestation. I am on my third Vision Board now. You can host a Law of Attraction Vision Board & Self Esteem, Self Image playshop by getting together with 3 friends for a minimum of 4 people and picking a date with me. Make it a party! I can come to you or you can come to my playshop space at Yonge & Sheppard.